The Stratford Library will hold a “Meet-the-Author” program with former Stratford author James Mihaley at 2 p,m, Dec. 2. 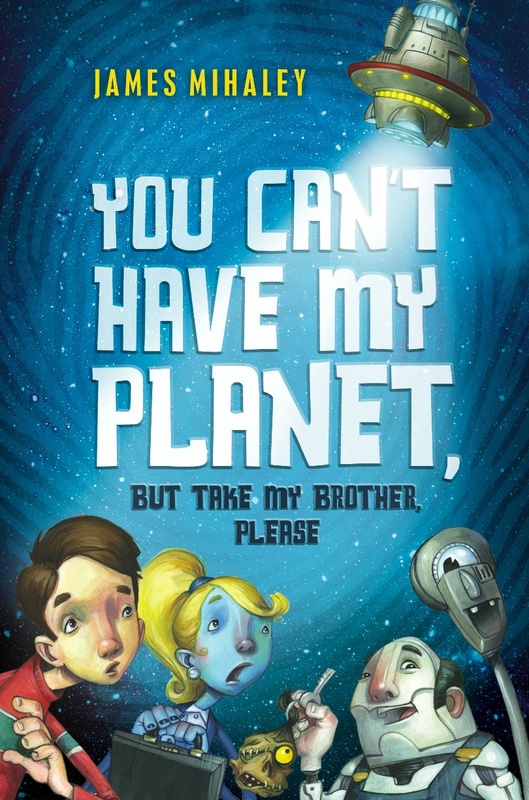 Hageman is the author of the witty new children’s novel, “You Can’t Have My Planet, But Take my Brother, Please,” according to a release. Mihaley was born in Bridgeport and attended Eli Whitney elementary school in Stratford, the release said. He is a graduate of Brown University. His recently published novel for children, ages 9-12, is the Macmillan titled “You Can't Have My Planet, But Take My Brother, Please,” the release said. "In the book it turns out that we humans are merely renting Earth and because we're such lousy tenants, we're about to get evicted," the release said. Mihaley now lives in Los Angeles, the release said. Autographed copies of the novel will be available for purchase following the library program. The event will be held in the Lovell Room of the library. For more information, call the library’s Public Relations & Programming office at 203.385.4162 or visit: www.stratfordlibrary.org. Photo: Book jacket, "You Can't Have My Planet, But Take My Brother, Please"